As we age, our mitochondria begin to break down. Scientists believe this is a major contributor to the aging process and causes sluggishness in both how we look and feel. The good news is mitochondrial health can be protected and restored through key nutrients and antioxidants found in a variety of superfoods. However, most people lack the necessary enzymes to break down, absorb, and utilize these longevity nutrients for optimal age-fighting benefits. What many are missing in the plant-diet-skin connection A plant-based, antioxidant rich diet is the foundation of good health, and especially for skin. What most don't know is that the biggest benefits of plants are derived from polyphenols, naturally occurring compounds that protect plants from disease, environmental assaults and aid in injury recovery. Some commonly known polyphenols include resveratrol (from red wine) and ptersotilbene (from blueberries). A subset of polyphenols, called flavonoids (which give fruits, vegetables and flowers their vibrancy), is extremely beneficial due to their antioxidant properties. They can be found in fruits, vegetables, legumes, red wine and green tea. However, specific enzymes are required to break down the bonds of these flavonoids into a bioavailable form for the body to absorb the nutrients contained within. This is where Nerium's proprietary Youth Factor™ Enzyme Blend comes in to assist where the body's own mechanisms may fall short. 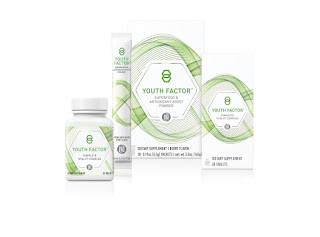 Youth Factor Complete Vitality Complex—As a dietary supplement, take one tablet daily with food. 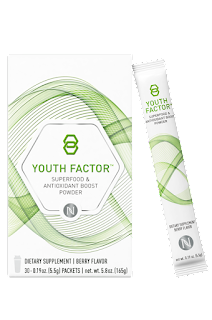 Take with Youth Factor Superfood & Antioxidant Boost for synergistic benefits. Youth Factor Superfood & Antioxidant Boost—Add one (1) packet to eight (8) ounces of cold water, juice, or in your favorite smoothie and mix well. Consume within 15 minutes after opening. 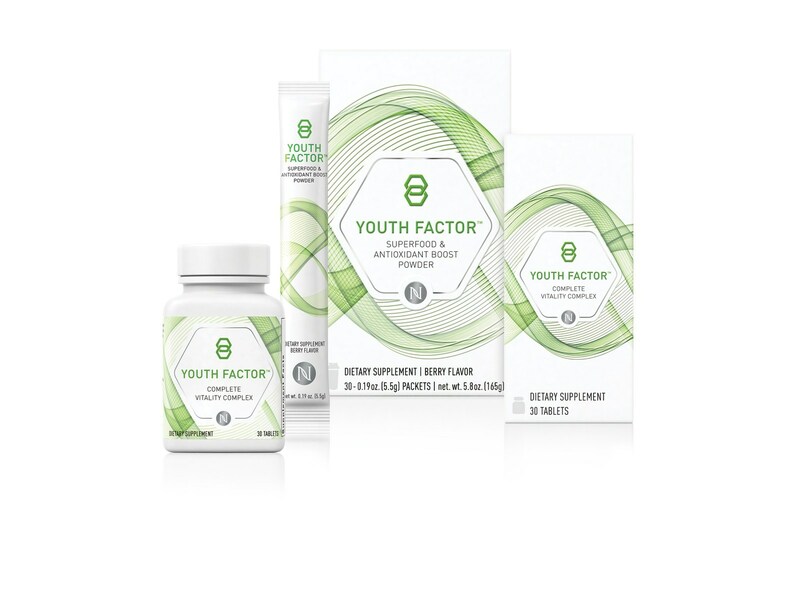 Use in conjunction with Youth Factor™ Complete Vitality Complex for optimal benefits. Box contains 30 drink powder packets.